Okay, so if you've never tried making your own stationery before, you really should give it a chance. 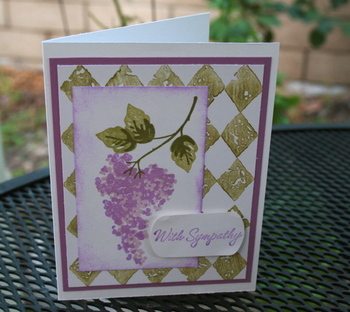 Look at this gorgeous card, which for a set of 6 would cost $15 in a store, but you can stamp for yourself and it's affordable, homemade, and just as beautiful as any store-bought card! I love these below that are just stamped in brown on ivory cardstock, then lightly watercolored to give them a little bit of extra life. I gave a set of these to my cousin (who loves fancy stationery!) for Christmas and she loved them. A little effort at home can save you money, and you've made it yourself. I'm teaching a class next Sunday from 2:00-5:00 to make these cards (14 cards and envelopes for $20) so if you're local and interested, drop me a comment before Thursday evening and I'll give you all the details. We'll be making the two above, along with the two below. 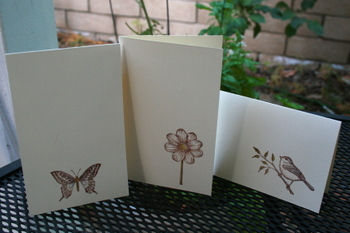 (We'll make 4 each of the turquoise flower and the brown botanical looking cards, which you can add sentiments to if you want, and we'll make three each of the ones below. You can change the sentiment on the "With Sympathy" card so it can say "Thank You.") 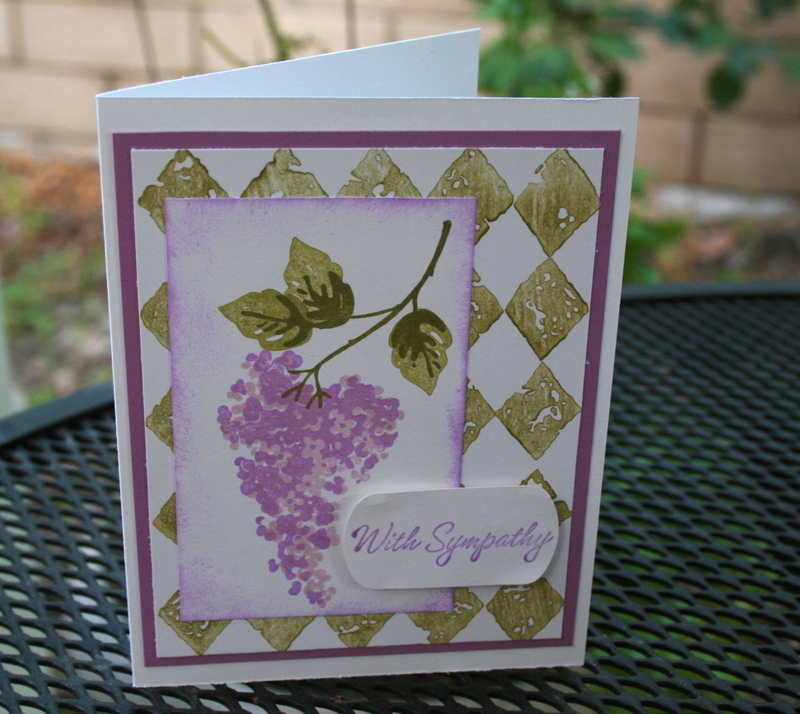 I know it's nice to have beautiful handmade cards on hand when an occasion sneaks up on you! don't we all know someone who would love the style of this card? 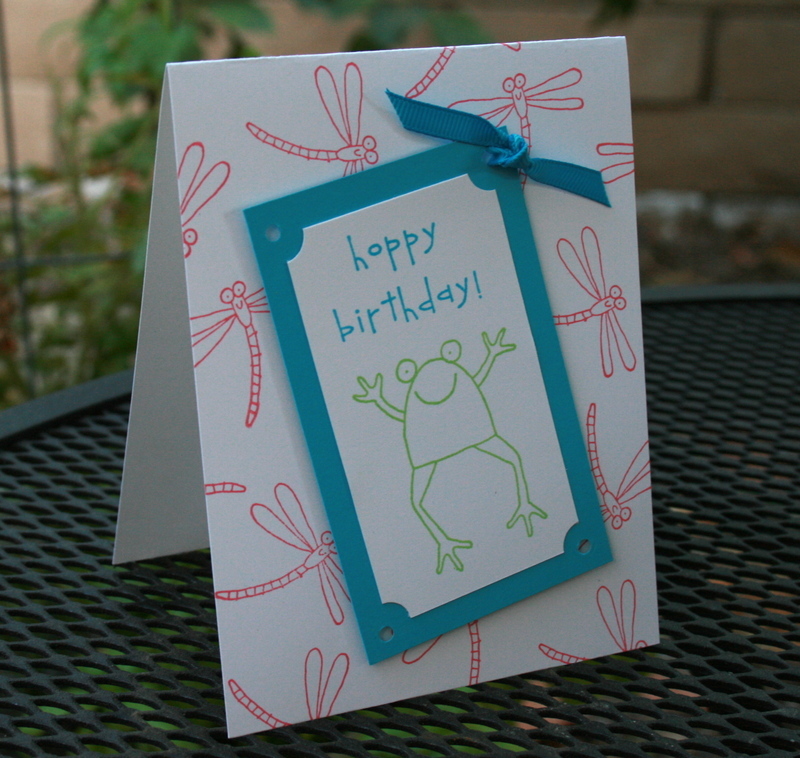 And who doesn't need a spare kid's birthday card for that nephew or grandchild or child's friend's party? 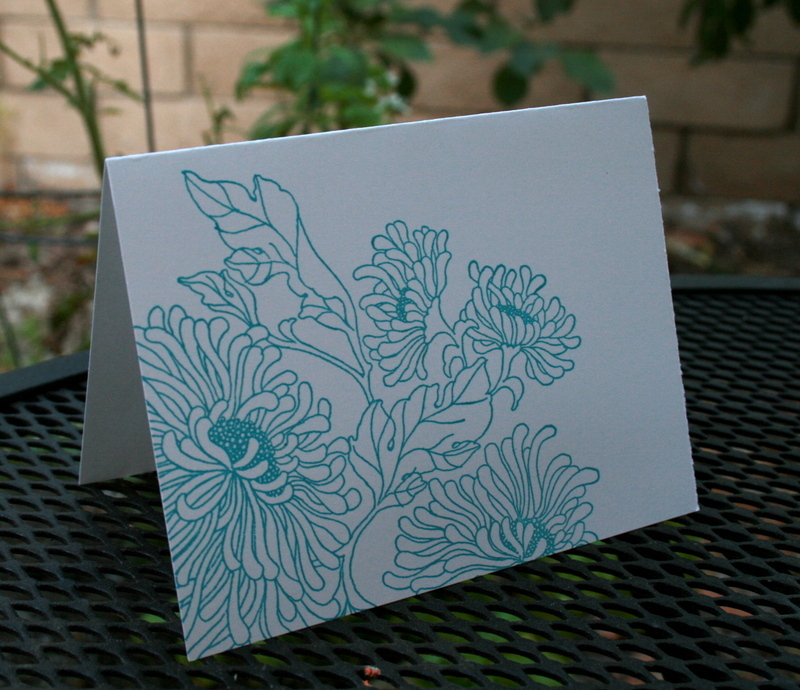 I encourage you to give handmade stationery a chance. It's so neat to make something from scratch at home, whether it's a recipe, a sweater, or even a card like these. I hope you'll do it and share your pictures with me! Love these! thanks for stopping by my blog... I look forward to spending more time here! Where did you get that fabulous floral stamp. I love it!! I'm not doing a whole lot of stamping these days, but it was the thing that spurred me back into creativity a couple of years ago. I love the turquoise floral and the brown botanical cards you did. I even have those stamps that you used for the brown cards! !